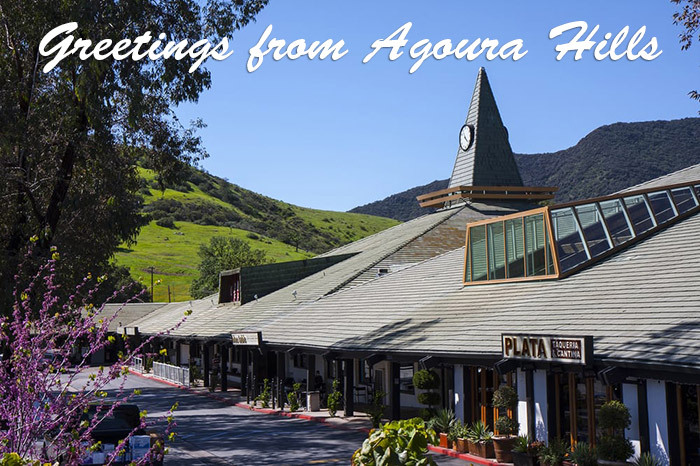 Here at Scout 22, autumn has brought cooler temperatures, unique and exciting new clients, and a move into our new office space in Agoura Hills, just north of Los Angeles. We thought we’d catch our breath and tell you about the clients and projects that we’ve been fortunate enough to be working on. We are very proud to be working with the Fry Family as they bring their line of Fry’s Frozen Foods to the United States this fall. If you don’t know Fry’s they have a truly fascinating and inspirational story. The company was started in South Africa by the husband and wife team of Wally and Debbie Fry. One day Wally, a former building contractor, visited a piggery in South Africa that he helped build and after witnessing the gut-wrenching abuse of the animals immediately joined Debbie as a vegetarian and later a vegan. After being unable to fine delicious plant-based foods, the couple began making their own for their family and friends. Nearly 30 years later, Fry Family Foods has sold over 30 million units in 800 supermarkets and specialty grocers around the world. The company is thrilled to make its U.S. debut this fall with a line of seven unique, delicious and healthy products. In addition to burgers, the product line will include international favorites such as sausage rolls, falafel balls, prawns and even schnitzel and is moving its U.S. operations right here in Los Angeles. The announcement of company partnerships with food service outlets and grocery stores will be forthcoming. The company shares the same ethos as we do at Scout 22 – authenticity and an unquenchable desire to make the world a better place. It has been a season of helping foreign companies establish a foothold in the U.S. for Scout 22 as, in addition to Fry’s, we are thrilled to be partnering with the Canadian plant-based restaurant chain, Copper Branch, as they launch their first American restaurant in New York in December. Copper Branch is one of the largest plant-based restaurant chains in the world, having more than 30 outlets in Canada and France, with aggressive expansion plans not only in the U.S. (200 restaurants by the end of 2019) but also in Europe and the Middle East. The plant-based community is accustomed to looking to Southern California or New York for the “next big thing” in the vegan community but we at Scout 22 love that the next revolution in plant-based dining is coming from north of the border. Since its inception in 2012, Copper Branch has established and furthered a commitment to delicious, healthy food and media both inside the plant-based community as well as outside have taken notice. For example, the company recently was featured in a piece in Investor Place Magazine in an article previewing companies to buy stock in to as the headline states, “ride the vegan wave.” What was especially exciting about Copper Branch’s mention in this article is that it is a private company and does not have stock. The author was so excited about the chain that he included it anyway! We also love that Copper Branch has a strong commitment to the environment as displayed by its association with Rainforest Trust, which works to preserve rainforest lands. It’s always fun when you’ve been involved with a client from the start and have watched them succeed and grow. We are especially proud to have been with one of our key clients, Plant Power Fast Food, since their first restaurant in San Diego. We have helped Jeffrey, Zach and Mitch establish their brand and the guys are now poised to open their fourth restaurant in Long Beach, CA in the next few months. Their concept is fairly simple, replace the usual fast food that a customer gets at chains like McDonalds or Burger King with healthier, plant-based versions. Two of their locations even have drive-thrus and their Encinitas location is actually a former Burger King restaurant! Isn’t that a whopper of a story (sorry for the bad joke). The company has succeeded beyond its wildest dreams and we have been thrilled to have been with them every step of the way, securing extensive and wide-ranging PR in outlets such as LiveKindly, Veg News, a beautiful feature in the San Diego Business Journal, and even a piece in Forbes. This fall we were also thrilled to be able to take advantage of Jim’s 20 plus years of motion picture industry experience as we worked on two exciting projects. The first was the film, Running For Good, from the director of Cowspiracy and What The Health, Keegan Kuhn and Executive Producer James Cromwell. Running For Good focuses on ultramarathoner Fiona Oakes who holds the world record for the fastest marathon times on all seven continents, all after suffering a debilitating disease as a child that necessitated the removal of her knee cap. The film follows Fiona, a vegan and animal sanctuary owner, on her quest to finish the most difficult land race in the world, the Marathon des Sables, a 250 km race through the Sahara Desert. You can watch Running For Good on the film’s website. In addition, Scout 22 was honored to have handled the PR for the inaugural Ottawa International Vegan Film Festival this past October in the Canadian capital. The one-day festival featured nearly 30 films from eight countries around the world and featured films such as Dominion, Promises, Eating You Alive and the winner for Best Film, 73 Cows. Finally, in the next few days we will have exciting news to share about Scout 22’s partnership with a one-of-a-kind, plant-based resort and spa featuring a famous vegan chef and world renowned plant-based doctor. As exciting as 2018 has been we at Scout 22 can’t wait for what’s ahead in 2019 as the plant-based, vegan and conscious capitalist sectors continue to explode!